The 1970s was the golden era of gasoline. And the fumes were strongest on the drag strip, where Funny Cars ruled supreme. Names like “Jungle Jim” Liberman and Don “The Snake” Prudhomme are the stuff of legend. And word of those legends has travelled to unlikely places—such as the back streets of Yogyakarta, the Indonesian city famous for its temples and Javanese culture. Which is where this remarkable bike was built. The story of ‘Flying Rooster’ starts with Scott Colosimo of Cleveland CycleWerks. 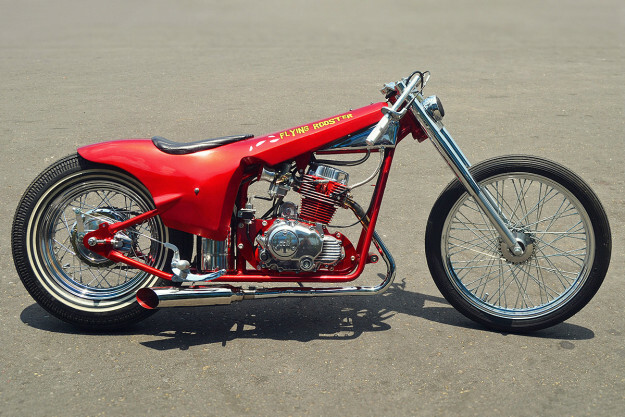 From his Ohio base, Scott designs and sells low-cost, stylish bikes with a strong custom or retro vibe. 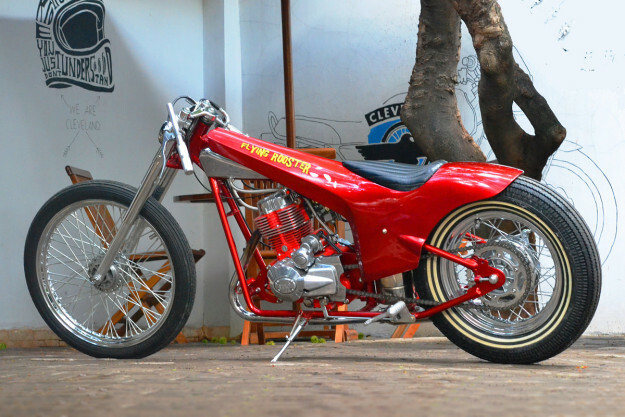 So when it came to launch the CCW brand in Southeast Asia, Scott chose Yogyakarta’s popular Kustomfest show. 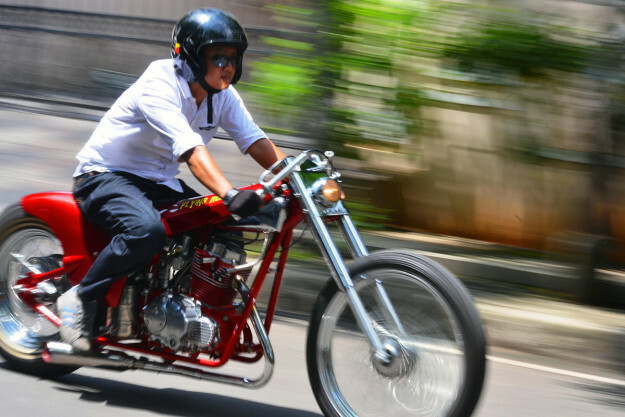 He gave bikes to ten of Indonesia’s best builders, and flew out Roland Sands to help with the judging. Flying Rooster took third place, but for us it’s the standout from the competition entries. 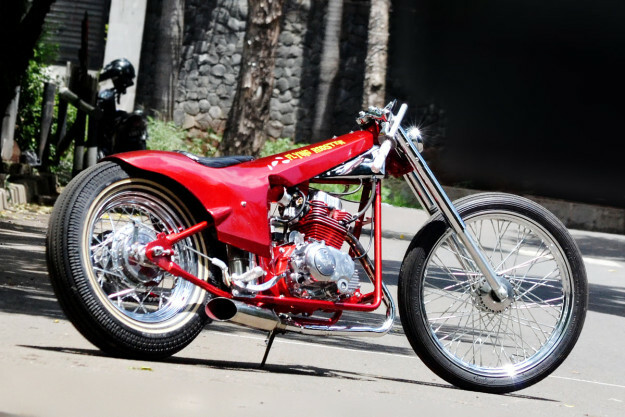 It’s a genre-busting, radical effort from local builder Rizqi Pratama of Lemb Inc, based on CCW’s 250cc Heist model. For his benchmark, Rizqi chose American drag cars. 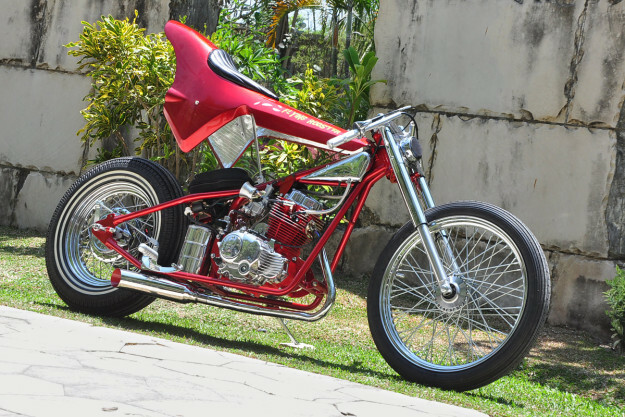 ‘Flying Rooster’ even has a wacky name to match: the hinged bodywork looks like a rooster in flight, with a long neck and wings folded down behind the engine. When the quick-release fiberglass body is propped up, all the mechanical components are accessible. 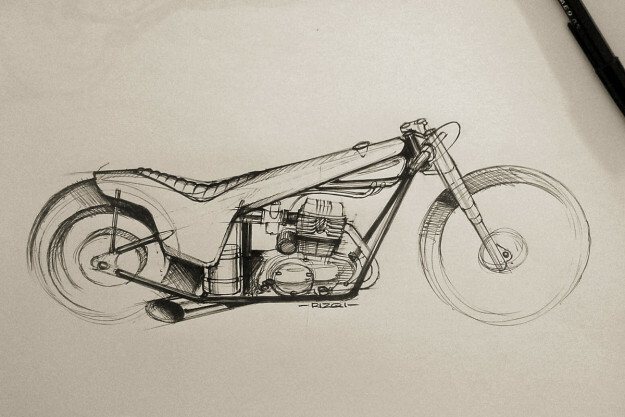 There’s so much custom work on the bike, it’s hard to know where to start. 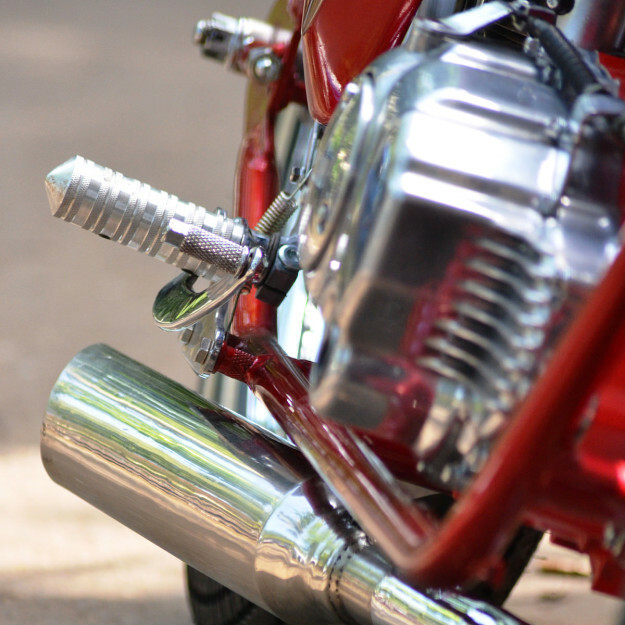 The entire motor was torn down, repainted, polished and detailed to match the theme of the bike. 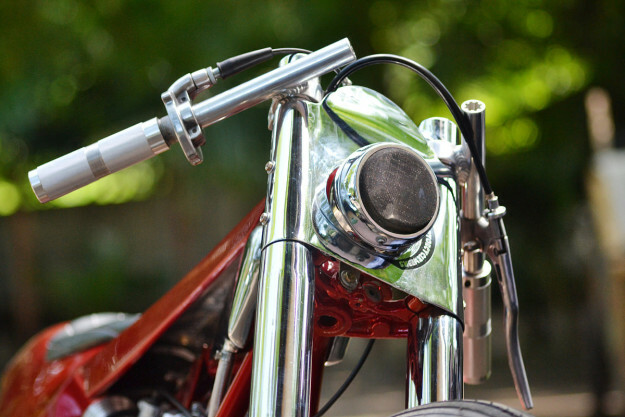 The secondary air injection is now housed inside a hand-hammered enclosure and the carburetor has been totally reworked, to eke out every bit of performance from the air-cooled single. 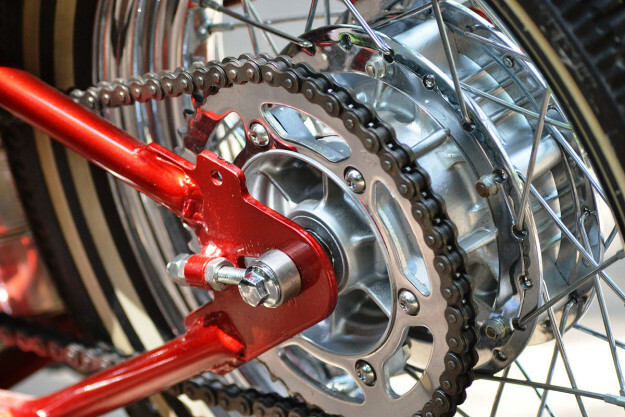 A new rear-wheel-and-drum-brake combo adds to the retro feel, along with the turned and knurled pegs of the custom rearsets. Even the kickstand and gear shift linkages are hand fabricated, and the drive gearing has been changed from stock. Rizqi has narrowed the front end, and installed new triple trees. The forks are custom too, and everything from the headlight shroud to the hubs has been chromed. The angular exhaust system is hand-bent, and the inside has been painted to match the bodywork color. The star of the show is the extraordinary glasswork, though. Rizqi added hard foam to the stock Heist and hand-shaped it before laying a fiberglass mold on top. The seat hides a new gas tank, lifted from a scooter. The entire unit is structural and designed to take the rider’s weight, with aluminum bracing and fire-resistant heat shielding underneath. It’s like a slammed Triumph X75 Hurricane with the volume turned up to 11. Flying Rooster probably won’t run a quarter mile in five seconds. But in the creativity stakes, it’s miles ahead of most customs. We have a funny feeling we’ll be hearing more about Mr Pratama in the months to come.